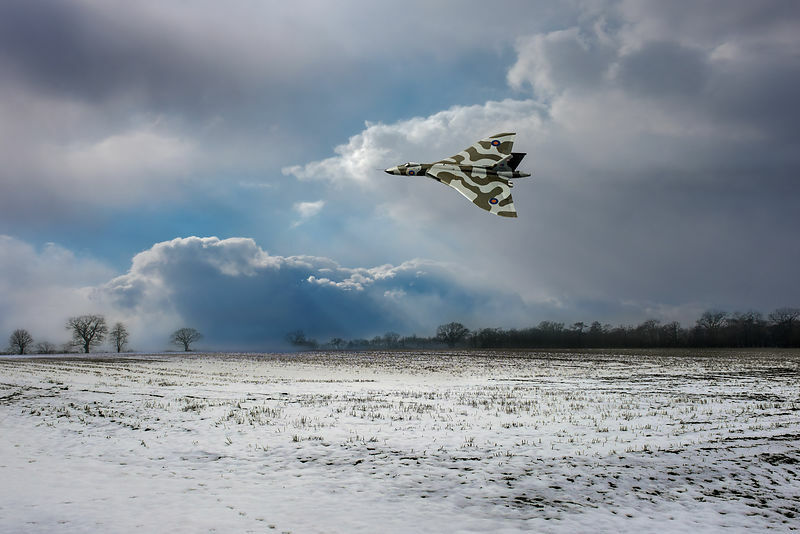 An RAF Vulcan bomber in its low-level strike configuration, depicted over wintry fields. The aircraft shown here is XM655, a Vulcan B Mk 2, which served with various squadrons during the 1960s to '80s. The non-flying airframe is now maintained by a preservation society.